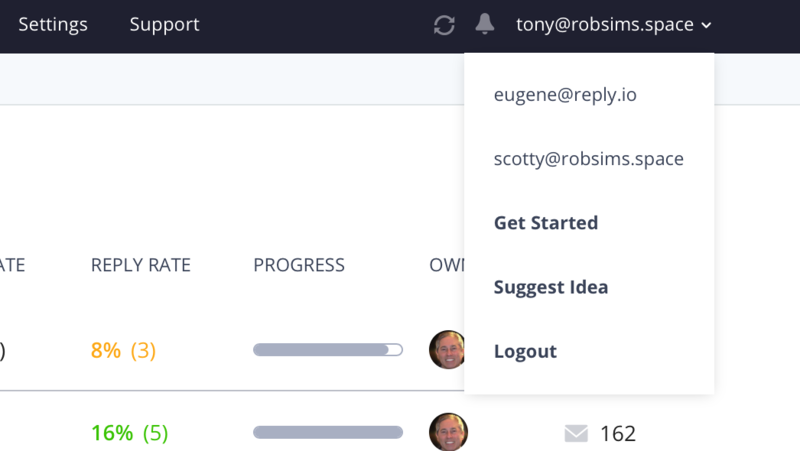 How can our team see each other's Campaigns in the Reply Dashboard? This article describes how to see the campaigns of your team members on your Dashboard. First case is applicable in case when Team Edition is not enabled for your team. Open the list of your team's logins in the drop-down menu in the top right corner of the screen. Click on the email address of the team member you want to view. Second case is when you have Team Edition enabled. In case you use Team Edition in the Private mode, only Team Owner can see campaigns of other team members.